Did you grow up watching Robin Hood? Did you take a fancy to Errol Flynn, Sean Connery, Kevin Costner or Russell Crowe in their green tights? Have you ever picked up a bow and arrow, or have you ever wondered what are the critical factors in archery performance? 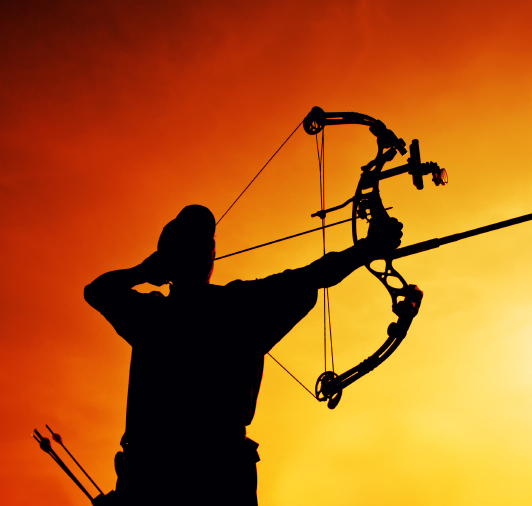 The purpose of this study was to investigate the temporal phases of the archery shot cycle that distinguish the arrows distance from centre, in an attempt to understand critical factors that effect performance. Sixteen archers of varying ability each performed 30 shots at 18m. Ten potential predictor variables were measured for statistical modeling by stepwise multiple linear regression. The results show that pre-shot time (pre-performance routine), release time (post-performance routine), aiming time and the speed of the arrow account for 7.1% of the variation in predicting shot performance. Clicker to release (CRT) variation has previously been shown to relate to shot performance. The results of this study show that this may be true for higher-level sub-populations, but not for the general wider population. The results have implications for practice demonstrating factors that coaches should focus on to develop their athletes. Further work on pre-, but more importantly, post-performance routines are needed in this field. The paper can be accessed here, or if off campus via ‘View’ (just type eBU into a web browser), and is open for comment and review. With the new academic year about to go into full swing, I’m sure everyone has many papers planned for the year ahead. In the last 14 months eBU: Online Journal has a build up a steady track record of helping early career academics and more established scholars to gain feedback on their work before submitting to external journals. In fact, not only does eBU have a track record in helping academics gain feedback, but BU academics are using eBU feedback to help them publish in external journals. 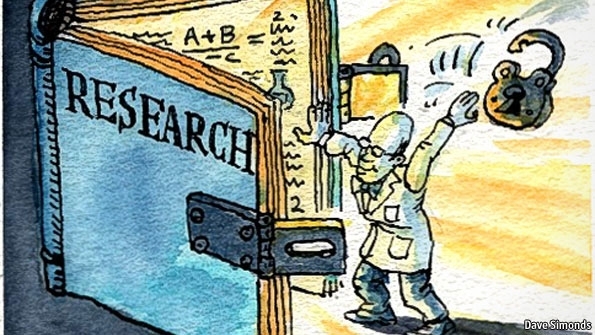 From immediate publication to open peer review in a safe internal environment in weeks instead of months, eBU is ideally placed to help early career and established academics to break through the barriers that stand in the way of publication – surely you’d be foolish not to consider using eBU for your next paper! Through immediate internal publication and open peer review, eBU is ideally placed to support the developmental needs of authors at any career stage, and I’m pleased to say that, so far, the 2014 issue has seen a levels of engagement from across the career spectrum. eBU has had two working paper submissions so far in 2014 (and there are plenty more in the archived 2013 issue!). Firstly, under the Lifelong Health and Wellbeing theme, Sheetal Sharma (HSC) and colleagues submitted a paper titled Eliciting Nepali women’s views on childbirth and the newborn. A full text file of this paper has been openly reviewed and can be viewed here – http://ebu/index.php/ebu/article/view/17. I understand Sheetal has just submitted this paper to an external journal, so best of luck and we await with great excitement to hear the outcome! Secondly, under the Education, Learning and Practice theme, Jonathan Williams (again HSC) has submitted a paper titled Is student knowledge of anatomy affected by a Problem-Based Learning approach? A full text file of this paper can be read here – http://ebu/index.php/ebu/article/view/24. eBU news, updates and success story! It’s been a while since I posted about eBU. Since my last post there has been some exciting updates and progress to report. There are some new faces to welcome, a reminder to encourage students to submit, news that eBU is supporting outputs from the PGR conference and will support outputs from an exciting new conference, and… (drum roll…) a paper originally submitted to eBU has been published in an external journal! Heather Savigny has joined me as a co-editor. I have met with Heather a few times now, and it is obvious that she is passionate about developing writing and scholarly skills. On this basis, Heather is a perfect addition to the team. We have both met with the new PVC Prof John Fletcher, and I’m glad to say that, like his predecessor, he is very supportive of eBU. Shelly Maskell from R&KEO has also come aboard and will provide vital support in helping develop eBU. One immediate challenge for eBU is not appeal to students. eBU launched a bit too late last year to appeal to students who would have made important submissions at the end of last academic year (dissertations etc), but hopefully we will be well placed to appeal to them this year! So I urge all academic staff to encourage students who produce good quality to a) encourage them to spend a little bit more time and format their work into a publishable output and b) offer some support to this end. Please submit posters before Friday 14th March. Please submit abstracts before Friday 14th March. I would encourage those who made an oral presentations to write it up as a conference paper. There is guidance for PGRs on myBU and on the Graduate School website, but do feel free to get in touch with any questions. We don’t generally set deadlines, so please remember that you can submit any other papers you might have in the pipeline (e.g. 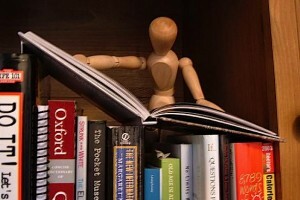 review papers) at any time, and we will guarantee a quick internal and open peer review. Congratulations to Luciana Esteves from ApSci, who has been successful in winning some Fusion funding to kick-start an annual undergraduate research conference at BU – SURE@BU. This is something to look out for in the future, but it is worth stating now that eBU will play a key role in the publication of conference abstracts, posters, conference papers etc. I’m glad to report that one of the submissions to eBU has been published by an external journal, and I believe others will shortly follow suit. The successful paper in question is a paper that I wrote with colleagues. However, it is a useful little case study to illustrate how and why eBU works. Myself and colleagues in HSC and outside (University of Exeter, University of Plymouth and Westbourne Medical Centre) submitted a grant application in the second half of last year. In most grant applications you have opportunity to summarise the key literature, and this one was no different. Unfortunately whilst the grant application was unsuccessful, I took a senior colleagues advice and spent a little bit of time turning the application into a paper. After a few weeks I submitted it to eBU (the phrase ‘put your money where your mouth is’ comes to mind!). As I had a bit of a vested interest it was processed by editorial colleagues and reviews were uploaded after a few weeks. It really helped having two sets of informed but fresh eyes scrutinise the paper, and changes were made on the basis of these reviews. The paper was submitted to a journal and accepted with suggestions for minor changes. When I wrote this article I was a Research Assistant here and, like many early career researchers, I had aspirations of becoming published in peer reviewed journals. One of my trepidations was getting that first publication. I’m now a PhD student here, and I’m sure the floodgates will open (along with another colleague have since have had another accepted!) 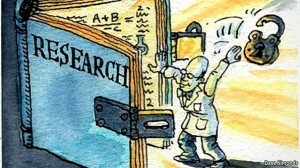 as I now have many ideas for potential papers and now – thanks to eBU – I have no fear of the unknown! eBU papers viewed over 800 times by BU community! The internal side of eBU has only been live for a matter of months. However, in this time eBU has internally published and reviewed 6 papers. Initially envisaged as a developmental vehicle for early career scholars, submissions are coming (and welcome!) from both senior academics and authorship teams comprising students and staff. Submissions include original research on the emotional geographies and dynamics of doctoral supervision (Fox), e-learning resources on nutrition for supporting cancer survivors (Murphy et al), and destination management in the creative industries (Long). Review papers have also been submitted on the role of patient choice and older people (Harding et al), banking for the public good (Mullineux) and consumer attitudes toward organic food (Howlett et al). 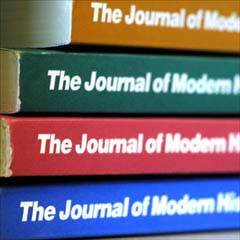 The breadth of submissions and the extent of author engagement are clearly positive. However, I am pleased to report that I am able to offer a better measure of the success, engagement and coverage that eBU is having. As the headline to this blog states, eBU submissions have been viewed over 800 times. This is a monumental amount of engagement, and shows the value of eBU and the interest it has built up among the BU community. 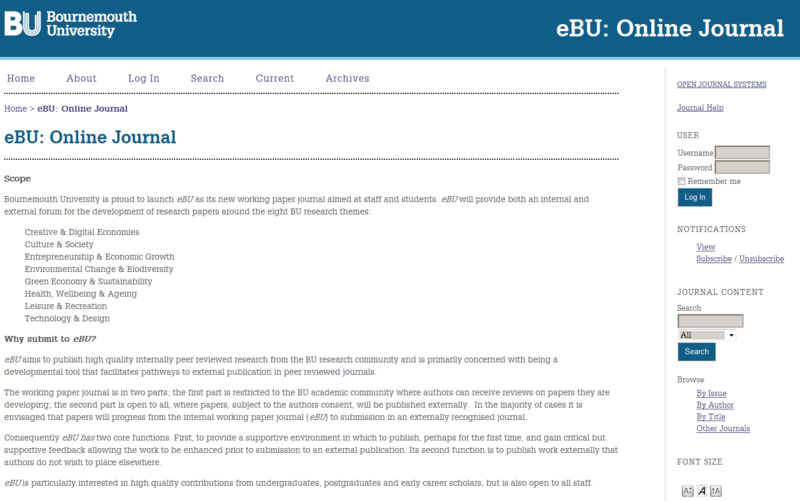 If you have something to submit for immediate internal publication and open peer review or want to view existing papers, you can access eBU when on campus by typing ‘ebu’ into your web browser address bar. Logging into eBU can be achieved by using your regular BU username and password credentials. When off campus eBU can be accessed via ‘View’ (if you do not have View on your home PC or laptop, it can be downloaded here). Finally, watch this space for the external side of eBU! The venue has changed for the first drop in session for prospective authors and those interested in eBU: Online Journal. I had advertised sessions on Talbot on Monday 7th and Tuesday 8th – both in PG30d. However, the Monday session will now take place in TAG01. I shall place a sign on the door of PG30d in order to redirect people! As I’m sure you are all aware of, co-production and co-creation are key facets of Fusion. What better way of engaging in co-production and co-creation than through pursuing publications with students? eBU is well placed to help academics co-produce and co-create outputs with students for peer review publications. eBU is encouraging academics to act as gatekeepers who, upon marking or seeing high quality student work, will approach students with the view to asking them if they wish to take this further and publish. 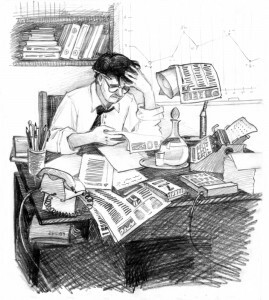 Putting your work ‘out there’ is daunting enough for anyone, let alone an early career scholar or student. Primarily as a publishing forum for internal peer review, eBU is a place where these types of outputs can be constructively critiqued in a safe internal environment. This provides students and/or early career scholars with some valuable experience of opening his/her work up to review internally, before doing so in the wider world. eBU works on the basis of immediate publication (subject to an initial quality check) and open peer review. Once published on the internal site, we aim to upload reviews within 3 weeks. Authors are then encouraged to use the comments to aid publication in an external journal. Alternatively, authors also have the option of publishing on the external eBU site. Please note that only using eBU as a forum for internal peer review (with the intention to publish externally – which we encourage!) WILL NOT ENDANGER FURTHER PUBLICATION. With the academic year only just underway it may not be the right time to identify high quality student output and enquire if they wish to make changes and reformat any output for publication. However, can I ask staff to make all students aware of eBU. It’s a win-win situation – engaging with eBU will boost your publication rate and give students something positive to put on their CV for their chosen career path. To access eBU, when on campus simply type ‘ebu’ into your web browser address bar. Publishing should be high on the agenda of any early career scholar, and PGTs and PGRs should feel no different. For those who are concerned or intimidated by the harsh academic publishing world, eBU is here to help. eBU: Online Journal is the new online working paper journal for the BU community. Putting your work ‘out there’ can be daunting. eBU is particularly useful for early career scholars, PGTs and PGRs who may wish and have something to publish, but have not yet dipped their toes into the world of academic peer reviewed publishing. 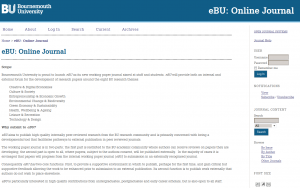 Staff and students are able to access eBU: Online Journal when off campus. Users have to log in via ‘View’. If you already have ‘View’ installed on your home computer, log in via ‘View’ and simply access eBU as you would on campus (the easiest way to do this is to type ‘ebu’ into your web browser address bar). If you have not got ‘View’ installed on your home computer, please follow this link – https://view.bournemouth.ac.uk – and follow the instructions to install ‘View’. ‘View’ allows you to access a university computer, from home, as if you were on the university network. This means your H and I drive are mapped, you can use the full outlook mail client as per usual and you can access, upload and comment on articles on eBU. Dr Philip Long, Associate Dean, from the School of Tourism has submitted a paper to eBU. This paper suggests that there may be insufficient recognition of critical ideas, professional and cultural practices associated with the ‘creative industries’ among tourism destination management researchers, practitioners and policy-makers in England. The paper considers the relationships between academic and practitioner knowledge and practice that potentially connect tourism destination management with creativity and the arts. The paper argues that more research is needed on the contrasting backgrounds, education and occupational discourses of tourism and arts / creative practitioners and how these may be addressed in the curriculum at postgraduate and continuing professional development (CPD) levels. The article suggests that there is a need for destination managers to explore contrasting agendas, knowledge needs and interests, and occupational discourses among creative industry practitioners and likewise for creative industry practitioners concerning tourism and destination management. This paper can be viewed, reviewed and commented on by following this link – http://ebu/index.php/ebu/article/view/11 – alternatively when on campus just type in ‘ebu’ into your web browser address bar. Professor of Financial Economics, and Deputy Dean for Research in the Business School, Andy Mullineux has submitted a paper to eBU titled ‘Banking for the Public Good’. Bank shareholders cannot be expected to provide good stewardship to banks because there is a conflict of interests between the shareholder owners and a non-mutually owned bank’s depositors; who provide the bulk of the funds in traditional retail banks and are willing to accept a lower return on their savings than shareholders, in return for lower risk exposure. Regulation is required to protect depositors where deposit insurance schemes are at best partially funded and underwritten by taxpayers, who in turn need to be protected, and to deliver financial stability, a public good. Once some banks become ‘too big (to be allowed) to fail’ (TBTF), they enjoy additional implicit public (taxpayer) insurance that enables them to fund themselves more cheaply than smaller banks, which gives them a competitive advantage. The political influence of big banks in the US and the UK is such that they can be regarded as financial oligarchies that have hitherto successfully blocked far reaching structural reform in the wake of the ‘Global Financial Crisis’ and lobbied successfully for the financial sector liberalisation that preceded it. The TBTF problem and associated moral hazard has been worsened by mergers to save failing banks during the crisis and as a result competition within a number of national banking systems, notably the UK, has been significantly reduced. Solutions alternative to making the banks small enough to be allowed to fail are considered in this paper, but it is difficult to be convinced that they will deliver banks that promote the common or public good. It is argued that regulating retail banking as a utility and pooling insurance against financial instability using pre-funded deposit insurance schemes, with risk related premiums that can also serve as bank resolution funds, should be pursued; and that capital leverage ratios and/or Financial Activity Taxes might be used to ‘tax’ the size of banks. This paper can be viewed, reviewed and commented on by following this link – http://ebu/index.php/ebu/article/view/10 – alternatively when on campus just type in ‘ebu’ into your web browser address bar. eBU in final stages before launch – please submit now! eBU is going through the final IT phases before the anticipated launch at the end of July. I have been delighted with the interest that eBU has generated from all sections of the BU community. Academics, students and professional and support staff have all shown an interest in submitting to and signposting others to eBU, and it is clear that eBU will play a significant role in developing academic output. eBU has champions in each school (I’m happy to put people in contact), and section editors across all of the research themes under which submissions will sit. We already have some submissions, and submissions sent to me before the launch date will be among the first to be published by eBU and undergo immediate publication and open peer review. 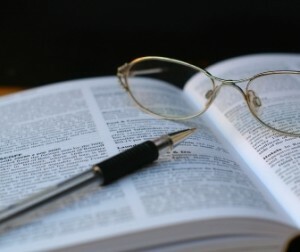 Author guidelines can be found here – eBU guidelines. I am pleased to announce that I am holding drop in sessions in each school for the BU community to ask questions about eBU: Online Journal. The first screenshot of the eBU interface has been exclusively leaked to the BU Research Blog, and is expected to go viral across the BU community over the next week. Submissions will be open to immediate publication (in a safe internal environment) and open peer review by 2 appropriate BU academics. Authors will be encouraged to act upon these reviews by either reworking papers for submission to an external journal or by opting for publication on the external eBU site. For BU academics this is a great opportunity to get critical appraisal on your research papers or ideas from colleagues. For academics it also an opportunity to encourage the submission of high quality student output, and possibly to facilitate the co-creation and co-production of publishable material to an external journal or to publish externally with eBU. For students, this is a fantastic opportunity to turn high quality essays or dissertations into scholarly outputs, which will be attractive to employers across many sectors and industries. If you have any questions or would like to become involved in this exciting venture, please get in touch with me via email aharding@bournemouth.ac.uk or by telephone 01202 963025.